Extremely fun in concept, until you realize what's going on and everything is rigged on luck and ridiculous AI. An improvement on the original but the concept could still be pushed so much farther. Love the idea of it and it's a vast improvement on the original Payday. But it's still just not as deep as it could be in the way missions play out. Unless this has changed since launch, for example, you couldn't even close doors? There were little design choices that made no sense because they should be basic mechanics. Enrich the different options to tackle missions and you'll have a great game. 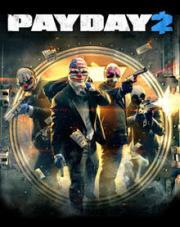 I think when Payday 3 comes out then it will be another few steps forward and probably reach that. Fun and very well supported (mostly on PC) co-op FPS. The subtle randomness of in the missions means each new playthrough is just enough of difference to keep players on their toes.